Has it been forty years or four? The first partially formed steps of the Catalogue Raisonné were undertaken decades ago when I was trying to make sense of the masses of Talbot archive material. The attic and cupboards at Lacock Abbey were daunting enough but I soon realized that their generous bounty was only part of the story. Talbot originals were spread throughout Britain and North America, South Africa, Russia, and dozens of private collections. His name could be attached to formerly unknown photographers. Some photographs were credited to him simply because they emerged from his home of Lacock Abbey and were demonstrably the work of his colleagues. In the end, it was computing power, laughingly modest at first, gaining strength and sophistication over the years, that finally made it possible to digest this rich feast. Last week’s Friday blog was the final regular one – for now. Fittingly, this was contributed by Madeline Say of the State Library of Victoria, and was stimulated by my visit there a few years ago. I intend to continue with the occasional blog on an ad hoc basis after this. May I suggest that you stop reading this brief text at this point and refer to the 10 February 2017 blog: The Launch! A Birthday Present for Henry. It covers steps of the project that were critical to getting us where we are now. Although the project officially started at Oxford in August 2014, technical disappointments delayed real progress until the weeks before publication of The Launch. In many ways, today’s digital world has become essential to the project and one is led to wonder what would have happened if the Catalogue had been started more recently. However, the ease of taking digital photographs, transmitting them by email into powerful databases and all the other advantages are only part of the brew. Lacking these siren songs for the first three decades or so forced me to consult each and every item in person. That was an irreplaceable experience and the realities of modern travel and access would make such an effort impossible in the brief life of a project. Along the way, countless librarians, curators, dealers and collectors have been more than generous with their time and knowledge. Various specialists did their best to patiently stamp out my copious pockets of ignorance. This critical human element continues to this day. New York photographer Mariana Cook and her husband, the highly and rightly respected dealer Hans P. Kraus, Jr., have been constant supporters of the Catalogue over the years. 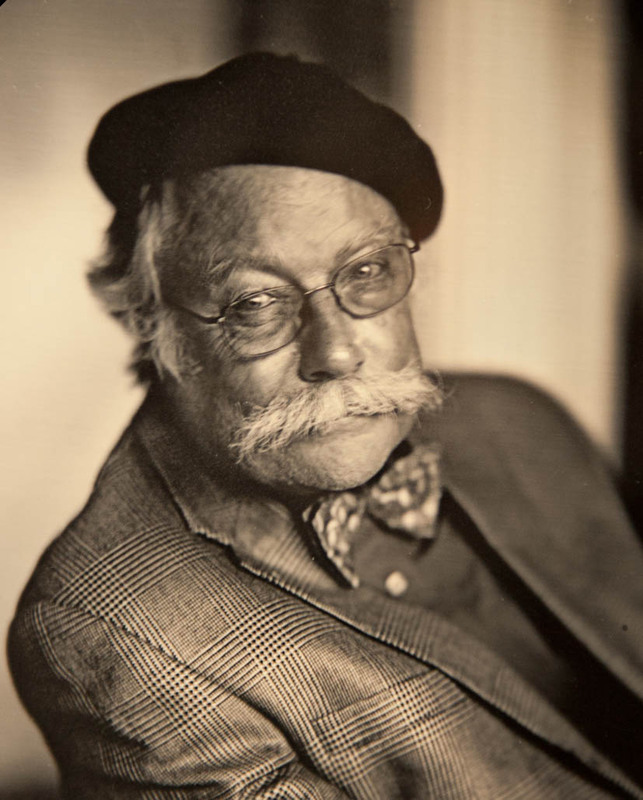 William Talbott [sic] Hillman, a New York photographer, channeled part of his passion for collecting original Talbots into generously funding the project. It is customary to credit higher ups for their support, but Richard Ovenden, Bodley’s 25th Librarian, more than deserves this. Bitten by the photography bug whilst still in short pants, he has been a passionate and powerful advocate of the project since the beginning, carrying it through good times and the inevitable shaky ones, supporting and encouraging me and other staff to carry on. Thaddeus Lipinski, himself an accomplished photographer, perceived the potential of the project early on and was responsible for getting the popular blog going and especially for keeping the project on track during my recent illness. Lemons turned into lemonade when the National Museum of Photography, Film & Television (as it was fittingly styled then) disposed of its curators. This allowed me to hire one of them that I had worked with for many years, Brian Liddy, who many of you know as a personable and knowledgeable contact. More recently, quick study Jaanika Vider brought her energy to the project, absorbing in a few weeks more knowledge about early photography than many senior people ever amass. Such a list is skeletal and most contributors will have to remain unmentioned. As this developmental phase of the project comes to a close, more than 2/3 of the known Talbot photographs worldwide are online, illustrated and searchable. The project now goes into the ‘delivery phase’ and sadly we are losing our staff, but the published database will continue to grow. Its essential food is the contributions from its users. Please continue to send in your valued suggestions and contributions. The Catalogue Raisoneé has been the high point of my scholarly life and I hope that it has been and will be of use in your research. You can continue to reach me by email and are encouraged to do so. You are the global village that makes it possible.